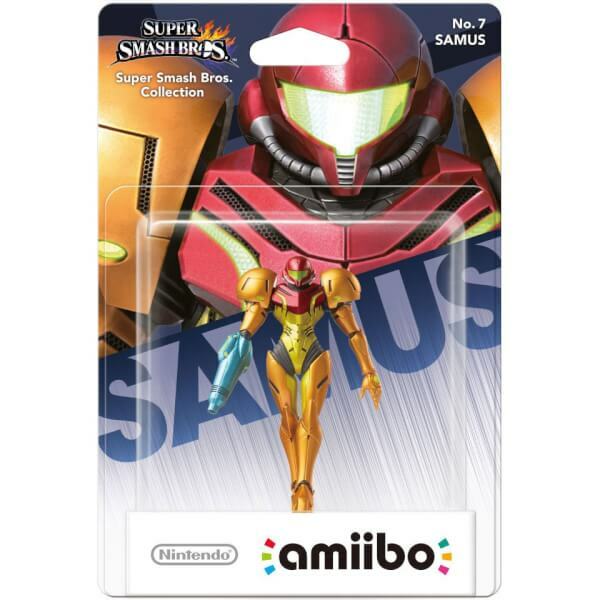 Samus Aran an intergalactic bounty hunter has fought her way across a variety of planets in the Metroid™ series. Orphaned at an early age she was taken in and raised by the alien race known as the Chozo. The Power Suit she wears is a product of their technology. Her unique combat skills combined with her athleticism and Arm Cannon have seen her through countless missions. 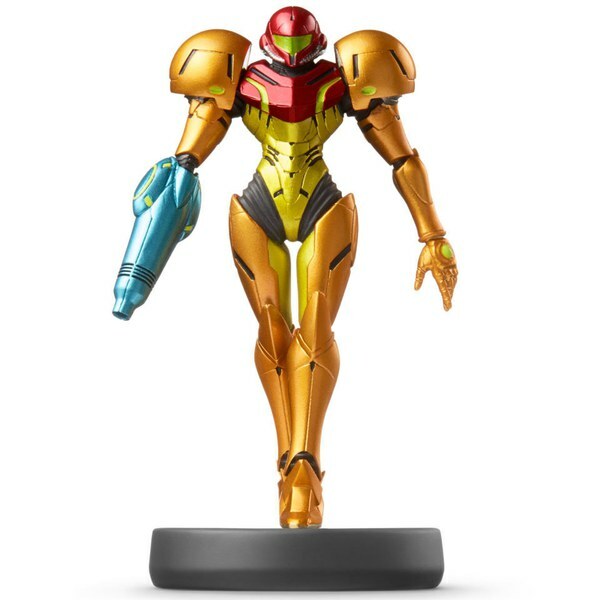 Due to the limited availability of this amiibo, we have restricted the number that each customer is able to buy to 1 per customer. You can use amiibo on your New Nintendo 3DS and New Nintendo 3DS XL by tapping them to the NFC area on the bottom screen. 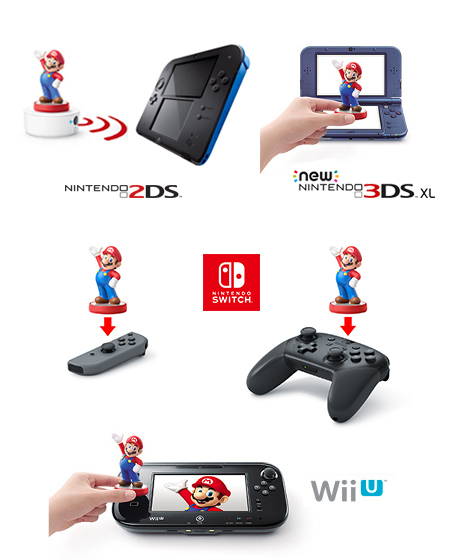 Alternatively, using the NFC Reader/Writer Accessory you can use amiibo on your Nintendo 2DS, Nintendo 3DS and Nintendo 3DS XL. You can also use amiibo on your Nintendo Switch by tapping them to the NFC touchpoint on the right Joy-Con Controller, or the NFC touchpoint on the Nintendo Switch Pro Controller. amiibo can be enjoyed on your Wii U by tapping them to the NFC touchpoint on the Wii U GamePad. 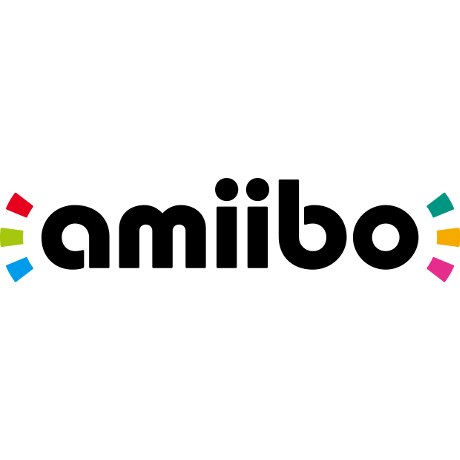 Visit our amiibo compatibility page to see which amiibo work with compatible Nintendo games. A great product, very well designed, works perfectly with the Metroid game. An excellent quality item, and a great collectors item. The item isn't bad quality but the painted finish isn't as good as the pictures (not to be expected). But overall I enjoy the figure. I just wish it had more use other than Smash bros.